Description: Great for warmer weather! 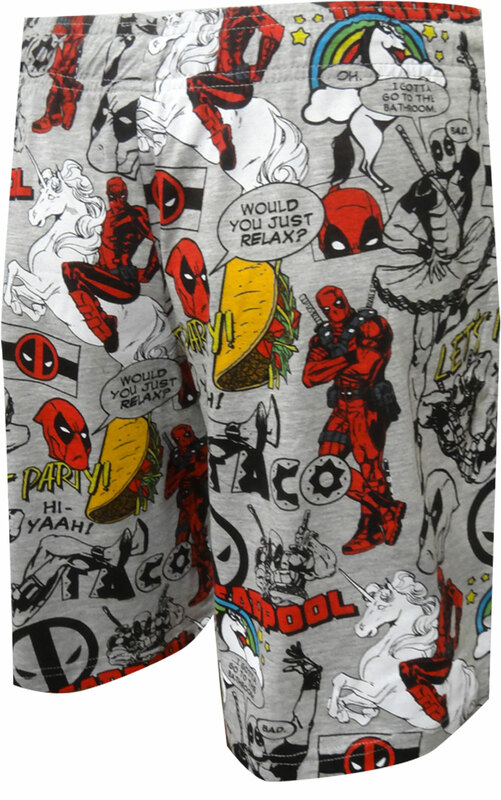 These long lounge shorts for men feature Marvel Comics' Deadpool and several of his famous phrases, along with iconic deadpool images. 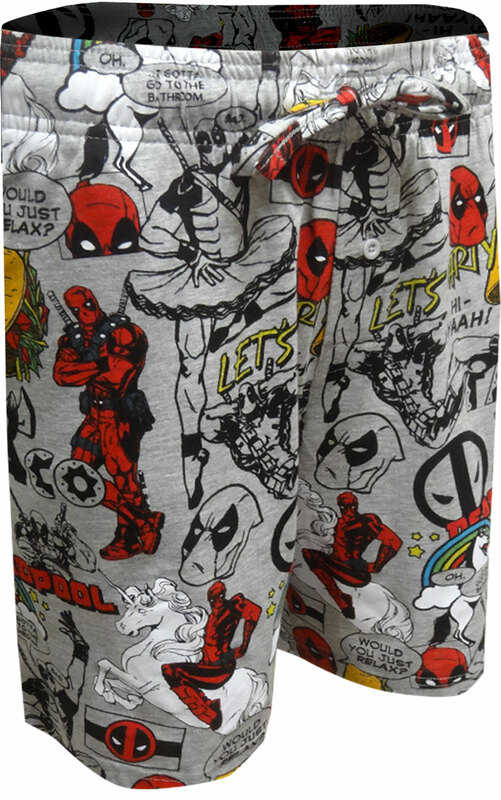 The drawstring and elastic waistband with the button fly and two pockets ensure these will become a favorite.